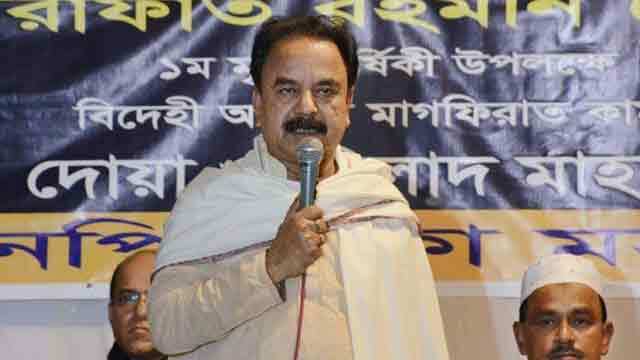 Dhaka, Jan 30 (Just News): Police arrested BNP standing committee member Gayeshwar Chandra Roy from the city’s Gulshan area on Tuesday night. BNP chairperson’s media wing member Shamsuddin Didar told that a team of Detective Branch (DB) of police picked the BNP leader up from in front of Police Plaza Concord Shopping Mall around 9pm. He said Gayeshwar was returning from the BNP chief’s Gushan office. On Sunday, Gayeshwar threatened that their party would go for an outright oust-government movement if Khaleda Zia is 'unlawfully' convicted in the Zia Orphanage Trust graft case. Speaking at a discussion at the Jatiya Press Club, he had said, "Do you (govt) think we'll only shed tears if you send Khaleda Zia to jail? We won't cry. Rather, we'll ensure your fall before her release."